Incoming Brownsville Chamber of Commerce Board Chairwoman Monica Garza welcomed an energetic crowd Oct. 18 to the Brownsville Events Center for the annual Leadership Luncheon. The event honors outgoing chamber board officers and incoming board officers. Brownsville Mayor Tony Martinez also spoke to the crowd on leadership. “A leader is well prepared, relentless in pursuit and emotionally stable (takes the drama out of decisions), while also possessing good character and is courageous,” proclaimed Martinez. 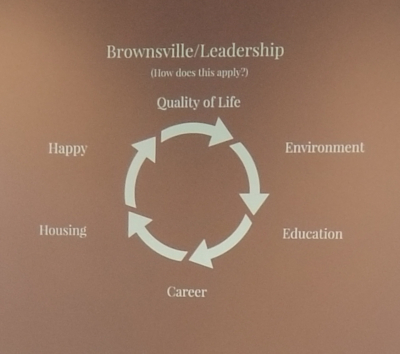 On the growth of Brownsville, Martinez says, “Brownsville is not completely there but we’re headed in the right direction.” His conversation made notation of the city’s job increase, growth of new businesses and improvement in the quality of life for Brownsville residents. “We’re not only providing a place to work, but also a place to live and be active,” he added. Thursday’s event brought business and organization leaders together to recognize Brownsville Chamber employees, as well as sponsoring partners and volunteers. For more photos, visit the Valley Business Report photo gallery. 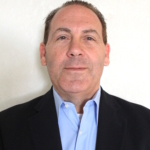 My thirty years in the media world has primarily focused on marketing, advertising and writing. This industry is my passion. I have been blessed to serve customers with marketing consulting, advertising concepts, video production and promotion of all forms - broadcast, print and digital. My occupation is a fun job but not work. The opportunity to put clients and customers together awakens me early. Learning clients and their businesses enables me to create effective multimedia advertising campaigns. My media life led me to deep South Texas in 2004 to co-found The Business Times of the Rio Grande Valley and then the Valley Business Report in 2009. This south Louisiana native is proud to call the Rio Grande Valley my home.